Before we renovated the bathroom for Jim, it was dark, out of date, cold and suffering from major storage issues. 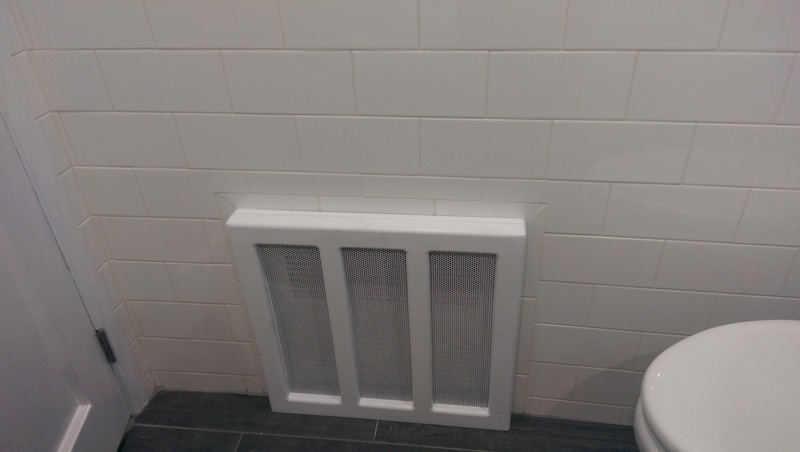 With a growing family and his sister an interior designer, Jim was determined to have a new modern, functional bathroom with plenty of storage space and was to be built using as many green products as possible. We were excited and happy to give them the best bathroom possible. The bathroom was demolished down to the bare studs, recycled blue jeans insulation was used in the exterior walls. 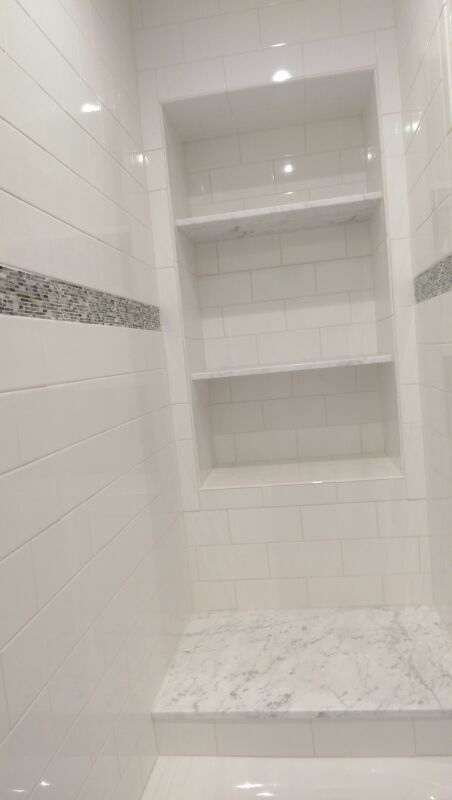 We extended the shower area to accommodate for recessed marble shelves and a marble shower seat. Jim and I remained in constant communication and consulted his sister, the interior designer on any and all design issues. We built a custom closet with a special overhead storage nook to make use of all space possible. The bathroom features 4 dimmable spotlights, a vanity light, and an exhaust/heating/lighting unit and a control panel of 6 switches that fits perfectly between the main door and closet door moldings. Beautiful high end fixtures and bright white subway tiles make the bathroom shine. Now Jim and his family can enjoy a relaxing bath while sitting down on the marble seat. Everyone can store their things on individual shelves and they do not have to worry about storage problems anymore. With some good music and lights dimmed low this bathroom can feel like a spa. We are very happy with the new space and hope Jim and his family enjoy it for many years.